"Another wonderful live session by the multi-instrumentalist Maurizio Abate, captured by Ulrich Rois (Bird People) in 2014 during his exhibition at the old location of the art association eLaSTiCo -- in the center of Bologna -- then mixed and edited by Maurizio himself. To be considered a twin release of the Live From The Border EP published in 2012, this single-sided release features a twenty-minute track that builds a ritual and meditative soundscape with the processed sound of a hurdy-gurdy and a harmonica. Edition of 150." - Holidays. "LArbre du Tenere, known in English as the Tenere Tree, was a solitary acacia that was once considered the most isolated tree on Earth, standing alone for over 250 miles. It was a landmark on caravan routes through the Tenere region of the Sahara in Northeast Niger, until it was knocked down by a drunken truck driver in 1973. La pelle del fantasma is the debut full-length by the duo of Maurizio Abate and Giovanni Donadini (Ottaven, Fantamatres). They build a dialogue between open improvisation and harmonic structures, moving from ambient soundies to textures of soft psychedelia in an effort to create a musical portrait of this special tree and its history, from the lonely past to its present form as a commemorative metallic sculpture. Edition of 150." - Holidays. One-sided. "Quarry is the latest chapter in the ongoing collaboration between the London-based, musique concrète composer-performer Adam Asnan and the Italian sound artist and mastering engineer Giuseppe Ielasi. As the title suggests, this encounter produced a dusty sculpture whose shape was drafted immediately after the stones had been excavated from the ground -- and where it is hard to distinguish the acousmatic touch of Asnan from the rhythmic textures of Ielasi." - Holidays. "Third act for the duo composed of Giuseppe Ielasi and Nicola Ratti after their eponymous debut on Kning Disk and the acclaimed Handcut LP on Planam-Senufo (featured on the Wire list of the best releases of 2010). CDJ, Sony Walkman, Revox A77, and Memory Man are the perfect instruments to create labyrinthine meta-pathways through quietly convective thickets of acousmatic sound, from spacious clouds of fuzzy electronics verging on dub imprints to water-stained electronics reminding of BJ Nilsen & Stilluppsteypas Space Finale and more fractal, decaying bleeps nudged and frayed with a beautifully tactile intuition. Originally released on CD by Entracte, here it comes in a deluxe LP edition with embossed lettering on the cover and printed inner sleeve. Edition of 250 copies." -Holidays. "Italian composer Alessandro Bosetti presents Plane/Talea. Bosetti explains: "The cycle of compositions collected under the title Plane/Talea reflect my interest in vocal polyphonic music. They envision an impossible choir constructed through the sampling of thousands of fragments and pieces of voices, my own and those of others, and their re-composition into polyphonic garlands and textures. This cycle can be intended as the utopic sonification of an impossible community in which the voice is atomized into primary particles and later reconstituted into sonic masses and clouds. These are too dense and complex for a chorus of real human beings to sing. The music of Plane/Talea is the sonic projection of such a community. The voice is not processed or altered in any way but subjected to molecular reorganization. Theoretically, a hyper-chorus could sing material of this type but, perhaps fortunately, such a choir does not yet exist. Up until now, in the process of creation of my vocal music, Ive kept two poles and influences in balance: that of madrigalism, in its late renaissance and contemporary incarnations, and that of hyper-polyphony, which is close to spectral music. Though not ever having actually written in one or the other of these two styles, Ive always felt this unresolvable and fertile tension in my work." Recorded, composed and mixed by Alessandro Bosetti at GMEM (Centre National de Création Musicale in Marseille). Additional recordings by Attila Faravelli at Spazio O, Milano. Mastered and cut by Rashad Becker at Dubplates & Mastering, Berlin; Embossed lettering; Edition of 300." - Holidays. "On January 30, 1970 Henning Christiansen and Bjørn Nørgaard -- a figure nearly as radical as Christiansen himself -- hit the Danish national consciousness when a large portion of the Danish population watched a TV broadcast performance piece in protest of the Vietnam War. Hesteofringen ("The Horse Sacrifice", 1970) features the work "Min Døde Hest Opus 55" ("My Dead Horse", 1970) for piano, voice, and violin (green), a beautiful haunting fragile song featuring a poem written by Bjørn Nørgaard; performed by Lene Adler Pedersen, accompanied by Nørgaard and Christiansen on piano and (green) violin. Laden with metaphor, this beautiful, sad lullaby is as simple and unusual as anything in Christiansens output. Previously unreleased. Embossed lettering; Edition of 350." - Holidays. "Henning Christiansen (Copenhagen, 1932 - Isle of Møn, 2008) was a Danish composer and an active member of the Fluxus movement. He studied at the Royal Conservatory of Music in Copenhagen and at the more liberal Ex-School (Eks-Skolen), embracing its radical approach in study and creation of art and developing into his own musical thinking. In 1962, he attended the George Maciunass International Festspiele Neuster Musik in Wiesbaden, where he probably experienced an epiphany that caused a significant shift in his artistic practice and musical composition. 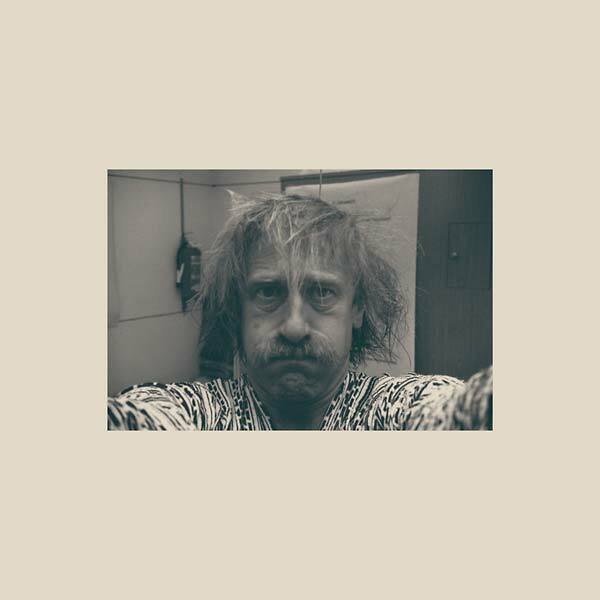 Musik Essayistik is the combined reissue of twin releases Fluxid (1983) and Fluxyl (1984) - two of the most obscure and enigmatic records in Christiansens discography - previously issued separately by Borgen Records in Denmark. Four minimal pieces exploring the clash between instrumental composition-improvisation and pre-recorded real sounds. Embossed green ear on front cover; Edition of 300." - Holidays. ""I have worked together with sheep before", says Henning Christiansen, introducing the performance he did in front of the Brucknerhaus in Linz in July 1988. But this time he went beyond, building a "Concert-Castle" with hay blocks where thirty sheep could perform music. Another time the animals -- Christiansens obsession and passion -- become the musical instruments used for his compositions: "Originally most of instrumental sounds derived from animal voices or other sounds of natural phenomena. The violins, for instance: someone found out that stretched intestines, dried bowels, could produce a sound. This has simply been civilized, refined." "Schafe Statt Geigen" ("Sheep Instead of Violins", 1988) and ""Verena" Vogelzymphon" ("Bird Symphony", 1990) first appeared as a small CD edition issued by Galerie Bernd Klüser in 1991. Both works, each one occupying a full side of this LP edition, are an extension of one of Christiansens long standing conceptual strategies: deploying recordings of animals as stand-ins for musical instruments, sheep and birds respectively. While each work allows these sources to take the natural lead, at times masquerading as field recordings, both feature subtle tonal and electronic interventions by the composer, creating strange and brilliant compositions which shift the terms and subjects of music as they were long understood. "The background, the space where music happens is what I want to put into the foreground." Accompanied by a twenty-page booklet featuring drawings and texts by Henning Christiansen, as well as pictures of the performance by René Block. Edition of 500." - Holidays. "Seventh in a on-going series of twelve electronic meditations on the zodiac of Decimus Magnus Ausonius (310-395) as played by Pat Murano of No Neck Blues Band, K Salvatore, Malkuth and Key of Shame. This one is for sure the creepiest and most disturbing chapter of the series so far, with swathes of electronics melting with the highest tones of misterious lullabies from somewhere far away, keeping the listeners ear firmly at ground level. Edition of 300 on black vinyl, with hand-stamped covers." - Holidays. "Arisen from the always-surprising Swedish underground (or undergrowth), Enhet för Fri Musik -- featuring members of Sewer Election, Ättestupa, Neutral, Makthaverskan, and Blod -- gathered in the woods and recorded this music to make all wild souls dance. A real gem. Folk unit mixed with tape music. Loose thin line between composed and improvised, or, as member Dan Johansson defines it, "quite sparse outsider anti-music." The Enhet starts where Ättestupa left off. Strictly limited to 150 copies, then on to Dokument 2." - Holidays. Edition of 400. "Holiday Records present a reissue of Hüseyin Ertunç Trios Mûsikî, originally released in 1974 on Intex Records. This cosmic free jazz improvisation by this legendary trio guided by Hüseyin Ertunç - on drums - with his then-regular partners Michael Cosmic and Phil Musra - on saxophones and additional percussion - reveals the primitive and physical approach of the trio, with Ertunçs massive cymbals drumming building a carpet of trance-driving vibe where the reeds can freely dance without any structure. "A new world of improvisational freedom opened up for me when I first heard drummer Huseyin Ertunçs 1974 LP Mûsikî, with reedmen/multi-instrumentalists/brothers Phil Musra and Michael Cosmic. Ertunç returned to his native Turkey about twenty years ago (and performs with the Konstrukt collective), but Musra - this tunes composer - now resides in Los Angeles and, as regular readers of this blog know, is still active in music. Although I initially assumed that Mûsikî and Musras companion LP The Creator Spaces (1974) were recorded at the same session, in truth Mûsikî was recorded months earlier. The Creator Spaces is a bit more spacious than Ertunçs date, though both are quite intense documents of self-produced and spiritually-directed improvisation. Knotty and weird, theres a folksy unhinged-ness that really spoke to me in a way quite different from Albert Ayler, the Association for the Advancement of Creative Musicians, and other music I was spending time with when I dropped the needle on the trios debut album. Ertunçs percussion work really shocked me and its still absolutely fascinating, and Cosmics organ playing behind/around Musras tenor is just something else." - Clifford Allen. Edition of 200. "Recorded over two days yet retaining a continuous, immediate vibe, Gumusluk Sessions: At Lons feature a stirring quartet with Hüseyin Ertunç on piano, Doğan Doğusel at double bass, the young drummer Cem Tan, and Umut Çağlar - a stalwart of the Konstrukt group - on reeds and percussion. In the caliber of multi-album statements like Cecil Taylors Nuits de la Fondation Maeght (1969) and string instrumentalist and composer Alan Silvas Seasons (1970), Gümüslük Sessions: At Lon s stretches out texturally and conceptually, although theres a loose, homegrown informality unique to these musicians orbit (partly attributable to the dry, open recording quality). The initial marathon pace relaxes into nattering trails and the full ensemble falls away to reveal spare duos and trios over the course of eight sides. Ertunçs piano ebbs as zurna, flutes and bamboo reeds, auxiliary percussion and voices draw out the musics connection to folk forms, as well as the interleaved East-West textures of Yusef Lateef and the Association for the Advancement of Creative Musicians. As out as the music gets, theres always a center in Ertunçs keyboard approach; moreover, his linkages with the pliable, allover percussive buzz and thrumming pizzicato create a constant burble of jabbing movement. This is a clunky, Monkish swing or a playful push-pull, rather than the tinka-tinka-ting of bebop. Concentrated, unflagging and incredibly spiritual, Ertunç, Cağlar, Doğusel and Tan have convened to structure an incredibly personal artistic document that speaks to the universal possibilities of freedom." -- Clifford Allen. Turkish liner notes by Volkan Terzioğlu. Colored cardboard box set with printed inner sleeves." - Holidays. "Fantamatres is the duo formed by Giovanni Donadini - former member of With Love and Nastro Mortal, also known for his solo-project Ottaven - and the slang-poet Sissy Biasin, whos been active since the 70s as a pioneer of the Italian industrial scene with Teatro Satanico and Teatrino della Volpe. Fantamatres is their weird collaboration whose output is a regional surreal poetry performed - or more often improvised - over sleazy organ grooves and pulsing italo disco electronics. After the stunning debut tape release Contacto Salino (Hundebiss Records, 2012) this is their first vinyl release, prepared as a challenge in less than 48 hours and resulted in three real hits that capture the irrepressible rampage of their rare and unbelievable live sets." - Holidays. "Remembering his old friend John Tchicai and the days when these live recordings were made, Hartmut Geerken says, "When John came to visit us in Afghanistan and in Greece, where we lived in the 70s and 80s, my wife, Sigi, had to extend his bed always with fruit boxes. His height didnt fit into a normal-sized bed as well as his musical dimensions were too far out to fit into the mainstream taste of the masses. It was wonderful to hike with him in the Hindukush mountains up the Salang Pass. Afghanistan was a very peaceful and hospitable country before the westerners destroyed this unique paradise." Every time Hartmut Geerken unveils one of the many tapes he recorded and archived in his extraordinary life, its an incredible gift. Listening to these tunes almost 40 years after they were recorded, especially in the moment when John Tchicai stops playing and start his wild high-pitched singing, will really make you feel dizzy. Recorded live on May 12, 1977 at the Goethe-Institut Afghanistan in Kabul." - Holidays. "Third -- and sadly last -- chapter of the archival recordings fixed on tape by Hartmut Geerken during his stay in Kabul in the 70s. Insistency! was recorded at the Goethe-Institut Afghanistan in Kabul on same day as the duo session of Hindukush Serenade (HOL 071LP) -- May 22, 1977 -- but also sees Maqsud Schukurwali and Ghafur Rasul -- members of the Free Jazz Group Kabul -- joining Geerken and John Tchicai and playing an insistent anthem, also featuring an eight-year-old Olaf Geerken on congas. On side B, the music gets quieter and Tchicai finds the perfect moment to release his yelled, ecstatic chant, slowly turning into a hypnotizing song. Edition of 250." - Holidays. "Hartmut Geerken is a writer, a composer, a musician, a film-maker, an actor, and also a lumberjack. He traveled the world and lived in Egypt where he founded -- together with Salah Ragab and Edu Vizvari -- the Cairo Jazz Band and the Cairo Free Jazz Ensemble. He also played with Embryo, in a trio with John Tchicai and Don Moye (with whom he made an extensive tour in Africa), and also with the Art Ensemble of Chicago. He worked with Sunny Murray, Don Cherry, Okay Termiz, Peter Kowald, Takehisa Kosugi, Toshi Ichiyanagi, Michael Ranta, and so many more. This longplayer captures two very different moments of his work. On side A -- recorded in 1994 -- he wildly plays the legendary Sun Harp, which Sun Ra gave him in Egypt in 1971 as a guarantee for the money Hartmut lent him to fly back to the States. Sun Ra promised that he would buy it back from him one day but this never happened and hes still the owner of this magical instrument. The last track of this side is joined by eight basses building an enchanting chorus. On the flip, a highly meditative song split into three chapters recorded in a cave on the island of Gavdos in Greece in 2007, playing a flexible roll piano." -Holidays. "Holiday Records presents Orpheus by Hartmut Geerken. Fantastic sound poetry piece by Hartmut Geerken restringing the "Sun Harp", the Ukranian bandura that Sun Ra gave him in 1971 when he visited Egypt for the first time. The acoustics of his manual workings emerge without any esthetic intention: the banduras voluminous resonating body forms the reverb of the room. Each manual action and each contact of the tuning key with the wooden body is "reverbed". The instrument creates its audio space. A mythic dream play is evoked: the myths space of reverb. An ear ready to absorb, hears the labor pains of voice and string ahead of language and music. A human voice in search for language and thus for communication. A string instrument in search for sound and thus for music. Based on this phonemic pre-space, words do rise only sporadically. Through certain techniques of vocal chords the phonemes move close to the meditative Indian Dhrupad-singing, as well as to lunacy and disturbance. Animal languages, signals, shepherds calls, silvered drum-language, ham-boning, calls, litany, subconscious voicings, sirens: the search for Eurydike and the search for the origin of letter and syllable, out of the breath. Besides one single "superimposition" no further mounting, no computer-generated sounds, no digital gimmicks, no remix or art mix do exist in this live-recorded dream play. Edition of 200." - Holidays. "An incredible live recording of a concert hosted by the Goethe Institut of Kabul on September 22, 1976. More than sixty minutes of convulsive jams - and hypnotic obscure interludes to loop your head to - captured on reel-to-reel tape, edited and mastered for the best vinyl listening experience that will definitely prove you how free Afghanistan once was. The public too has never been this reactive, shouting and clapping to the music of the quartet directed by our beloved Hartmut Geerken, who also plays piano using both the keys and the chords. Cardboard album edition." -Holidays. "Virginia Genta is a self-taught musician who plays all saxophones (tenor, soprano, baritone, alto) and is mainly known for being part of the Jooklo Duo, along with David Vanzan, which regularly includes guests, evolving into new forms. No matter how many musicians shes sharing the bill with, her saxophone is always standing out, clearly discernible, like an ear-massage introducing parts of your own auricle you didnt even know were there. And finally, for all those who always wanted to hear a solo recording of her, two short improvisations skillfully recorded by Riccardo Sinigaglia of Futuro Antico. Edition of 250." - Holidays. "Gianni Giublena Rosacroce is the solo project of Stefano Isaia (Movie Star Junkies, La Piramide di Sangue), created with the intention of sonically exploring the Middle-Eastern shores of the Mediterranean. After two tape releases and a split 12", heres the debut long-player, recorded between home and the mountains with the help of Galilea Mallol between 2013 and 2014 and featuring companions Reverend F. Murphy and Mai Mai Mai on the side-long track "Compendium Maleficarum." A caravan of percussion -- lead by the haunting sound of the clarinet -- wandering and dancing between the stands of a crowded market. Edition of 250." - Holidays. "An incredible instrumental jam in three chapters recorded at Black Dirt Studios in upstate New York in May 2008 when the two bands met for a tour in the East Coast of the United States. Golden Jooklo Age and Peaking Lights melted their fluxes travelling the astral ways of sound and this is the postcard they sent us from the lands of future psychedelia." -Holidays. "There are still so many treasures to be discovered out there, but when one finds a gem like this, one can put the research on hold for a little while and give it a deep listen. Recorded at Fono Roma in 1971, Eroina is a series of haunting improvisations -- each one inspired by the effects of a different drug -- made of whirling electronic glitches, skronky horns, pounded piano, funky drums, and weird tape experiments. The best drone/spaced-/drugged-out free music performed by the legendary ensemble of Ennio Morricone, Mario Bertoncini, Egisto Macchi, Bruno Battisti DAmario, Franco Evangelisti, and Walter Bianchi. A timeless masterpiece available for the first time on vinyl. Limited to 400 copies." - Holidays. "Long delayed box collecting -- on six sides -- an appendix to the Stunt trilogy, started in 2008 with the Stunt EP then followed by (Another) Stunt and a (Third) Stunt. The project was focused on the use of a turntable as the only source generating pulses and rhythms by physically playing a selection of records, using a technique inspired by hip-hop turntablism. This gathering of samples results in a glitched sound texture bringing Ielasis ambient imprint into a new dimension made of fragmented dance cadences, sometimes even adding a touch of dubstep grit to the mix. A soulful jam for a slippery dancefloor." - Holidays. "Featuring some of the most innovative players from Beirut, Cairo, and Istanbul, Karkhana met for the first time in Beirut in 2014, bringing together influences from the three major experimental music scenes of the region and beyond. Through their live shows, the bands seven multi-instrumentalists build a transcendental atmosphere developing what could possibly be called free Middle Eastern music. Shades and traces of shaabi, tarab, sufi, and much more are heard in the distinct blend of free jazz and psychedelic krautrock theyve created. Recorded and mixed by Matt Bordin at Outside Inside Studio -- in only two days -- and mastered by Carl Saff at Saff Mastering Studio in Chicago, For Seun Matta is the first studio album by the band following the 7" Nafas released on Omlott (2016) and Live At Metro Al-Madina released on Sagittarius A-Star (2015). Featuring Sharif Sehnaoui on electric guitar, Sam Shalabi(The Dwarfs Of East Agouza) on oud and electric guitar, Maurice Louca (The Dwarfs Of East Agouza) on organ and synth, Umut Çağlar(Konstrukt) on zurna, gralla, bamboo flutes, and percussion, Mazen Kerbaj on trumpet, Tony Elieh on electric bass, and with the recent addition of Michael Zerang on drums. "I wish I could track down more of this tantalising outfits music to share. . . . This Middle Eastern super group first got together to celebrate the music of Egyptian surf guitarist Omar Khorshid -- who was also a key figure in Oum Kalthoums orchestra -- but their remit has expanded somewhat and now theyre fully committed to outer-perimeter explorations in krautrock-leaning, cosmic free jazz" --John Doran, The Guardian. Edition of 500." - Holidays. "To be considered a twin release of the previous For Ornette 7" (HOL 116EP). The single consists of two more short tracks -- taken from the same Hayyam session -- where the five-piece goes bebop, building some rhythmic and harmonic complexity filled by solo virtuoso playing of core-members Korhan Futacı (saxophone) and Umut Çağlar (electric guitar)." - Holidays. "Two short tracks (out of four) taken from the same Hayyam session which gave birth to Oryantal (HOL 115LP). Two funky shots dedicated to the memory of the one and only Ornette Coleman. Some real intense (double) drumming animating a full-band jam on side A, while the B side of the single consists of a nervous duo of saxophone (Korhan Futacı) and drums (Berkan Tilavel)." - Holidays. "konstruKt is the revelatory Turkish free jazz quartet of saxophonist Korhan Futacı, guitarist Umut Çağlar, drummer Korhan Argüden, and percussionist Özün Usta. They offer a real breath of fresh air, like the Art Ensemble of Chicago did in the 70s. This live multi-channel recording by Giulio Moratti captures their whole performance at the Tarcento Jazz Festival in Udine, Italy, on July 18th, 2014, and gives a perfect taste of their cosmic Turkish free jazz, with an electronic touch provided by the use of a Farfisa organ and tape echoes. Lacquer cut by Alessandro di Guglielmo at Elettroformati, Milan. Cover artwork by Canedicoda. Limited to 200 copies." - Holidays. "These guys are the real deal" -Joe McPhee. "Edition of 250. In the summer of 2015, A LARME! Festival invited Konstrukt to perform with William Parker and Holiday Records teamed up with Matt Bordin of Outside Inside Studio to invite the quartet to play two shows in Italy on their way to Berlin. Plans overlapped leaving two days off spent playing with no interruption at Matts studio in Montebelluna, capturing four incredible tracks. Now, Konstrukt are well known for their many collaborations with key players and real giants of worldwide jazz scene, but - once again - having the chance to listen to the music they produce when they play "by their own" is something special. Their tribute to the past is paid with every single tune they play, but these recordings are something that can only be described as "new music"." - Holidays. "Istanbul based multi-instrumentalist Umut Çağlar founded the Turkish free jazz band Konstrukt at the beginning of 2008. Since then the band went through many line-up changes and collaborated with the likes of Peter Brötzmann, Joe McPhee, William Parker, and Keiji Haino, continuously evolving its sound. The band is currently formed by Çağlar, Korhan Futacı, Apostolos Sideris, Erdem Göymen, and Berkan Tilavel and Oryantal -- recorded at Hayyam Studio in Istanbul in 2017 with two drummers and a double bass player on board -- shows a more melodic and groovy side of the band. The session explores their rhythmic roots with the use of traditional instruments such as bendirs, tefs, and double reeds, trying to carry these sounds to the future with the help of electronics. Edition of 300." - Holidays. "Another chapter in the ongoing series of live recordings of the Turkish quartet Konstrukt, this time teaming up with saxophonist Akira Sakata, a key figure of the Japanese free jazz movement since the 1970s. Recorded at kargART in Istanbul on January 17th, 2015, this 70-minute long jam is one of the bands most psychedelic to date, with Sakatas growling shōmyō-like chant finding the perfect setting -- like a snake charmer -- in a jungle of constantly reinvented sound. Edition of 200." - Holidays. "Istanbul-based free music ensemble Konstrukt perform alongside special guest Alexander Hawkins, building the perfect groove in a sweaty Cafe OTO on August 10th, 2015. Two sets from the same night, each a 40 minute long improvisation. The first set is a psychedelic warm-up where the Turkish quartet welcomes Hawkins in a whirlwind of hypnotic funky tunes going electric in the Miles way. The second set starts with Hawkins piano keys bouncing along a silent background soon to be filled with a groovy odd drum tempo leading to a wall of sound where all parts build a perfectly unpredictable dialogue. Edition of 200." - Holidays. "Limited edition of 200. A meeting with the giant. In this live session recorded in 2014, the konstruKt quartets basic lineup reunites again with Peter Brötzmann, with whom they recorded the amazing studio album Dolunay (rec. 2008, rel. 2011) and Eklisia Sunday (rec. 2011, rel. 2013; also with Hüseyin Ertunç and Doğan Doğusel). As the title says, all are invited to listen to the message hidden in these rhapsodic vibes, where the energy of an elephant stampede is channeled into a coherent structure of percussion (and the drumming here is absolutely mind-blowing), electric guitar, double bass, and two whirling -- but still clearly discernable -- saxophones." - Holidays. "konstruKt have shared stages with such legends as Evan Parker, Marshall Allen, Joe McPhee, and Peter Brötzmann, showing their great ability to adjust their instantly composed music to the presence of a guest. This latest collaboration with the legendary American double bassist William Parker is another testament to their prowess. This 75-minute set of outstanding music was performed at Nâzım Hikmet Kültür Merkezi, Kadıköy, Instanbul, on September 12th, 2014, with a real arsenal of instruments. Four sides of pure spiritual fullfillment! William Parker: double bass, gralla; Korhan Futacı: tenor, alto, and soprano saxophones, flute; Umut Çağlar: electric guitar, moog, flute, zurna, percussion; Özün Usta: double bass, percussion; Korhan Argüden: drums. Lacquer cut by Alessandro di Guglielmo at Elettroformati, Milan. Cover artwork by Canedicoda. Limited to 200 copies." - Holidays. “The finest free jazz from Istanbul meets the alto saxophonist who travelled the spaceways side by side with Sun Ra and His Arkestra, and thats quite a thing indeed. konstruKt, the Turkish revelation of the last few years, becomes a sextet ganging up with guitarist Barlas Tan Özemek and drummer Hüseyin Ertunç to create a percussion-based environment where all the elements cautiously contribute to a collective meditation and where two saxophones are free to dance into a dreamy parade. Recorded in 2010 and self-released in a limited CD edition, this expanded ensemble trip to the other world finally gets its deserved double-LP limited edition.” - Holidays. Edition of 350. "Eklisia Sunday was recorded live in front of a small audience on May 15th, 2011 at Eklisia - an old chapel built in the 17th century in Gümüşlük, a small village near Bodrum. This improvisation features the Konstrukt collective - which is Korhan Futacı (tenor & soprano saxophones), Umut Çağlar (electric guitar), Özün Usta (double bass, djembe, gong, bells), Korhan Argüden (drums) - incredibly enriched by the presence of Peter Brötzmann (on tenor), Hüseyin Ertunç (acoustic piano, küstüfon, gong), Doğan Doğusel (double bass, küstüfon) and Barlas Tan Özemek (electric guitar). The result of the combination is simply marvelous, because Brötzmanns unique phrases perfectly match with the sound of what confirms to be a well-coordinated collective. "The Turkish free jazz outfit Konstrukt might be considered the most evolved improvisational band working in jazz today. Founded, not in the hotbeds of jazz, London, New York, Chicago, Wuppertal or Krakow, their isolation is the key to their success. Well, isolation and observation." - Mark Corroto, All About Jazz. "Second effort from this NYC trio composed by Jason Meagher (NNCK, Coach Finger), Pat Murano (NNCK, Decimus, Key of Shame), and Dave Shuford (NNCK, Rhyton) after their private press self titled LP released on Kelippah. An improvised ritual of metal percussion and electronic modulation recorded at Black Dirt Studio in 2012. As in previous NNCK and Decimus works theres a lot of buzzing drones and flickering electronics, just less haunting and more tripping. Nature boys gone electronic. Edition of 200 copies." -Holidays. "Four short compositions of the finest contemporary electro-acoustic concrete sound by the justifiably acclaimed duo consisting of Matteo Castro and Riccardo Mazza. Textured noise and field recordings manipulated with analog tape, creating a wall of distorted electronics, feedback and naturally reverberated ambient sound. This research chases the shape of the "natural rhythm" hidden in the pulses of machines, a skilled on-site observation of an ever-morphing landscape. Edition of 150." - Holidays. "Lettera 22 is the duo of Matteo Castro and Riccardo Mazza, two main characters in the Italian noise and experimental scene, building incredible collages of field recordings and abused dynamics. The lucky few who attended their live set at the Dome in London for the Broken Flag 30th Anniversary - where they caused a speaker stack to fall over, almost setting fire to it - saw their potential unleashed and knows what we mean by saying that they have an incredible control of the multi-layered texture they produce. Physical Point is a perfect demonstration of this skill, where the pair builds up a simmering tension made of captured sounds and hissing tapes, keeping a grip on it with the cold blood of a snake charmer. Edition of 200 copies." -Holidays. "Working on Trio Prosodico (HOL 093LP), Holiday Records met Arrigo Lora-Totino to go with him through his archive of reel tapes and unreleased material, bumping into these two pieces belonging to a completely different nature compared to his other works - less "acting" and much more "exercise" - where the voice is stressed to its limits in two opposite ways. "Toccata Vocale" is a boiling chorus of short vowel sounds - like hiccuping bullets of a jammed machine gun - while "Ursprache" is a creepy flow of stretched growling voices ending with a multilingual echoing scream." - Holidays. "Holiday Records presents a reissue of Trio Prosodico (1978) by Arrigo Lora-Totino. Arrigo Lora-Totino is considered one of the fathers of Italian sound poetry. Hes mostly known for having curated the anthology Futura: Poesia Sonora (1978), where he collected the voices of the most interesting sound poets of the twentieth century, but also for being a key figure in the Italian experimental poetry. Active since the late sixties, he gave more than 200 performances of "Gymnastic Poetry" and "Liquid Poetry" (using the Idromegaphone, a tool invented on purpose to let the voice sound through water) and a series of mimic declamations of avant-garde texts, from futurism to dadaism, Russian zaum, expressionism, surrealism, lettrisme and concretism. This sound poem in six movements - performed as a vocal trio together with Sergio Cena and Laura Santiano - was recorded in 1976 in Torino at Studio di Informazione Estetica (S.I.E.) and is considered by the author himself one of his most important works. First volume in a series of sound poetry releases on Holiday Records coordinated by Luca Garino. Comes in a deluxe edition with the complete reproduction of the handwritten original scores. Edition of 250." - Holidays. "Gherasim Luca (Bucarest, 1913 - Paris, 1994) was a Romanian-Jewish poet, co-founder and theorist of the Romanian Surrealist artists group. Harassed in his country, after World War II and a local exile, he moved to Paris through Israel in 1952. His work on French language - characterized by the stammering effects described by Gilles Deleuze - attains its highest degree of expression during the public reading of his writings thanks to the whole-body work. Théâtre De Bouche was recorded on February 21st, 1984 at Studio Sofreson by Rémi Goux and originally appeared as a cassette included in a special book edition published in 1984 by Criaple (Le Soleil Noir), highlighting all axiomatic human torments. This edition, the second volume in a series of sound poetry releases coordinated by Luca Garino, comes in a deluxe edition featuring the complete recording of the entire text by the author, and the reproduction of a dry point drawing by Micheline Catty which was originally included in the limited book edition. "Ghérasim Luca was the man who relentlessly pushed language toward its limits, which he transmuted from a mere instrument of representation into an extreme style of intensities. Luca knew how to stammer not just words, but language itself." --Gilles Deleuze. Embossed lettering; Edition of 250." - Holidays. "Norwegian musicians Lasse Marhaug and Jon Wesseltoft team up for a computer duo. Pretty abstract, but not too noisy computer music. Marhaug is well known in the field of noise music but has frequently drifted into other areas such as improvisation and jazz, contributing throughout his career to well over three-hundred releases, and also publishing the amazing fanzine Personal Best under his own imprint Marhaug Forlag. Jon Wesseltoft is a multi-instrumentalist actively performing in a wide variety of projects, shifting from acoustic sources to electronics. The record features five tracks recorded in 2016 at the best studio in Oslo, slightly edited and overdubbed by Wesseltoft but still clear and strict. Edition of 200." - Holidays. "Limited edition of 250. "This is the third and final iteration of a musical survival concept, which began in as solo project in 1969. Survival Unit III was formed in 2004 at the invitation for a recording date. Fred Lonberg-Holm, Michael Zerang and I were members of the Peter Brotzmann Chicago 10tet and by that time, we had been working together for five years. So in preparation for the recording, a tour was organized but the recording was cancelled at the last moment. Left to our own devices and thanks to the tireless efforts of Fred and Michael, we play." - Holidays. "Black vinyl repress. Holidays Records present a reissue of Maria Montis Il Bestiario, originally released in 1974. Maria Montis legendary Il Bestiario is a prime example of the avant-garde art-song of the 1970s. Known for her renderings of Italian popular songs, Maria Monti is an Italian singer and actress with a noteworthy career: cabaret singer in the 60s, ambitious avant-garde folk artist in the 70s, and starring in films by directors as such as Sergio Leone -- Fistful Of Dynamite (1971) -- and Bernardo Bertolucci -- 1900 (1976). Il Bestiario is a near perfect emblem of the fascinating territory gained through collaboration. It enlisted the radical poet Aldo Braibanti as its lyricist, features arrangements and synthesizer from Alvin Curran (Musica Elettronica Viva), the baritone saxophone of Roberto Laneri (Prima Materia), as well as the soprano saxophone of jazz legend Steve Lacy. The result is absolutely stunning, musically unique within the respective outputs of its participants long and noted careers. Unquestionably one of the most beautiful and neglected albums of its decade. Comes with a 16-page booklet with lyrics and translations." - Holidays. "2018 black vinyl repress. Holidays Records present a reissue of Maria Montis Il Bestiario, originally released in 1974. Maria Montis legendary Il Bestiario is a prime example of the avant-garde art-song of the 1970s. Known for her renderings of Italian popular songs, Maria Monti is an Italian singer and actress with a noteworthy career: cabaret singer in the 60s, ambitious avant-garde folk artist in the 70s, and starring in films by directors as such as Sergio Leone -- Fistful Of Dynamite (1971) -- and Bernardo Bertolucci -- 1900 (1976). Il Bestiario is a near perfect emblem of the fascinating territory gained through collaboration. It enlisted the radical poet Aldo Braibanti as its lyricist, features arrangements and synthesizer from Alvin Curran (Musica Elettronica Viva), the baritone saxophone of Roberto Laneri (Prima Materia), as well as the soprano saxophone of jazz legend Steve Lacy. The result is absolutely stunning, musically unique within the respective outputs of its participants long and noted careers. Unquestionably one of the most beautiful and neglected albums of its decade. Comes with a 16-page booklet with lyrics and translations." - Holidays. "This hidden gem - likely recorded sometime in the mid 2000s around the time they made Qvaris, according to what NNCKs Pat Murano remembers - is another astonishing output of Harlems seven-member free-form improvisational collective. A luminous string sprung from their collectively trepanned third eyes that will put the listener in an altered state of consciousness as erratically respirating freeform freakouts and lumbering ragas disintegrate and spontaneously re-assemble amidst dense thickets of percussive clatter. This session, previously revealed in an archival post by the always-missed Mutant Sounds blog and later recovered in a forgotten folder, has finally been mastered and put on wax for this one-time pressing vinyl edition." - Holidays. “Through the use of sound generated from modular synthesizer, tapes and samples, Nicola Rattis Ossario is a collection of 10 separate and independent songs -- in two volumes, available separately -- introducing a new and radical composing method. The aim is to build some kind of musical skeletons designed not to be covered in flesh and tissue, but trying to reduce everything to the bone. Simple sounds generated with magnetic tape saturation or electric pulses match with elements belonging to the language of techno music, shifting the focus away from its usual (and predictable) axis to a new (and eccentric) point of view.” - Holidays. “Second volume. Through the use of sound generated from modular synthesizer, tapes and samples, Nicola Rattis Ossario is a collection of 10 separate and independent songs -- in two volumes, available separately -- introducing a new and radical composing method. The aim is to build some kind of musical skeletons designed not to be covered in flesh and tissue, but trying to reduce everything to the bone. Simple sounds generated with magnetic tape saturation or electric pulses match with elements belonging to the language of techno music, shifting the focus away from its usual (and predictable) axis to a new (and eccentric) point of view.” - Holidays. "Japanese saxophone transgressor Akira Sakata meets with his long-time collaborator and Fender Rhodes virtuoso Giovanni Di Domenico, Portuguese guitarist Manuel Mota, and drummer Mathieu Calleja for a session recorded at Les Ateliers Claus in Brussels. Named after the Jomon period of the Japanese prehistory -- when Japan was inhabited by a hunter-gatherer culture rich in tools, clay pottery, and jewelry made from bone and stone -- the record features three tracks: "Jomon" (縄文), "Kaen" (火焔), and "Dogu" (土偶). The Dogu (literally: "clay figures") were small humanoid and animal figurines made during the Jomon period for religious purpose: it may have been believed that illnesses could be transferred into the Dogu, which was then destroyed, clearing the illness, or any other misfortune. The record itself is a musical healing ritual invoking a powerful demon with Sakatas throat singing, unleashing then slowly hypnotizing it in the second half of the album, putting it back into its vault before its too late. Beautiful artwork made with Sakatas hand-painted Kanji characters. Edition of 250." - Holidays. "Squadra Omega teams up again revealing itself in the shape of a trio composed of -- exactly as for the session which gave birth to Il Serpente Nel Cielo (2015) -- OmegaFrank (drums), OmegaG8 (bass, electronics), and OmegaMatt (guitar, organ, sax, electronics). An improvised session recorded live by Matt Bordin at Outside Inside Studio, where the Squadra goes nervously free -- constantly suspended and harmonically non resolved -- following a trail of skilled atonal jazz rock guitar tunes leading to moments of dazed electronics. Definitely not an easy-listening album, wonderfully rendered. For fans of early ECM records. Masterful cut made by Daniel Krieger at SST in Frankfurt. Edition of 250." - Holidays. "Holiday Records presents the vinyl reissue of Ghedalia Tazartes 5 Rimbaud 1 Verlaine (2006). This is a great tribute to the poetry of Rimbaud and Verlaine made by a favorite French sorcerer, who exceptionally abandoned his typical imaginary language to reinterpret six small poems in his own way, jumping from one musical genre to the other and happily letting them crunch together in a childish, enthusiastic play. Recorded in Paris in his flat around the same time he recorded the wonderful Hystérie Off Music (2007) (HOL 074LP, 2014) and previously available in an almost unnoticed mini CD edition published by the French label Jardin au Fou. Available here in a remastered vinyl version - with an excellent 45 rpm cut made by SST in Frankfurt. Edition of 350." - Holidays. "Born in Paris in 1947, Ghédalia Tazartés started singing when he was twelve years old, creating his own language. He began a professional career in dance, theatre, and cinema while still giving some occasional concerts and publishing a few albums, each one of them an acclaimed masterpiece. Recorded in 1989 and originally released by Aaya in 1990, Check Point Charlie is the first work by Tazartés conceived for the compact disc format and its different time boundaries. The result is a 60 minute long collection of layered field recordings combined into a polyphonic ceremony filled by his typical multi-tracked vocals, between a gibberish scream and the muezzins call to prayer. A unique record that -- after almost 25 years -- is finally enjoyable with the depth of sound that only a vinyl release can give." -Holidays. “At the beginning, Hystérie Off Music was conceived as a catalog record, an open field where the author could play with all musical genres and their stereotypes. But it rapidly evolved into an uncompromising clash of field recordings, sampled instruments, and Ghédalia Tazartès incomparable vocal eclecticism, made of emotional psalms and shamanic hymns. The encyclopedia of genres turns into a childish -- and sometimes scary -- play, and the song titles mislead the listener, introducing a completely new classification. Recorded in the early 2000s and released on CD in 2007 by the French label Jardin Au Fou, its now available in a remastered vinyl version -- with an excellent cut made by SST in Frankfurt -- for the best listening experience of this cinematic electronic collage. A true movie for the ear.” - Holidays. "Mermaids includes four tracks composed and recorded in early 2013. The concepts of the work are built around freedom - expressed by the use of the audio glitch - and unity framed in metaphors of water and transformation. All sound sources are mostly from the human voice. Jo Thomas is a London-based composer teaching sound design, composition and music technology at the University of East London. Her compositional work is primarily focused on the use of human voice, microsound, and technological artefacts. She has written electronic works in the studios of INA-GRM in Paris and EMS in Stockholm. She won the Golden Nica for Digital Music at Prix Ars Electronica 2012 for her work Crystal Sounds of a Synchrotron, and her album Alpha (Entracte) was nominated for a Qwartz 7 Award in 2011. Edition of 250 copies." -Holidays. "Two tracks fitting the best format to choose when you have to capture the music of Dennis Tyfus, the Antwerp-based hyperactive artist who draws, paints, takes photographs, makes films, plays music, sings, and creates books and magazines. The A-side of this single -- "Leren zwijgen" -- is an organ-melancholic-glitched song diving on a fanatical shrieking crowd. The flip -- "Lederen spelen" --starts with a limping accordion and ends with a choral multi-track warped vocalization. Edition of 100." - Holidays. “A single 19-minute track captured live in Oslo, 2010, during the same period of the astonishing Cold Burn LP (Feeding Tube Records, 2012) recorded by the duo together with Anla Courtis and C. Spencer Yeh. Another stringed drone ritual here -- but less choral than the quartet session -- where the cello and the harmonium (or the accordion organ) endlessly chase each other, aiming for the perfect synergy around the same tune, resulting in a deep and intense meditation practice. Exquisitely mixed and mastered by Jon Wesseltoft in Oslo, 2013. Single-sided release.” - Holidays.